Date : Munich ca. 1710. Size : 9.3 x 7.3 inches. / 23.5 x 18.5 cm. 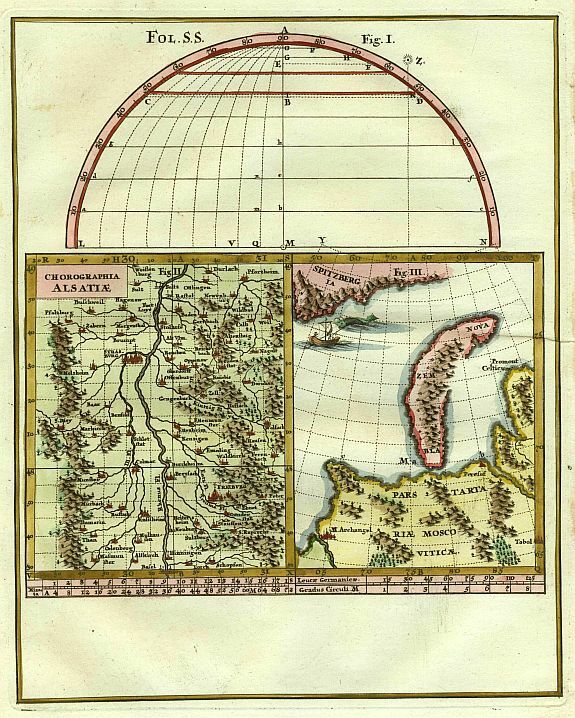 Description :Nice detailed print of the Rhine river and at right Nova Zembla and the top of Russia.